If you are an advanced user of Kratom or someone who carries out extensive research on Kratom, then there is no way that Gold Maeng Da extract must have evaded your ears. 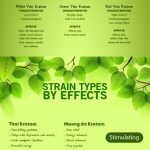 If this particular strain is new to you in spite of being a Kratom user, then let me shed some light on it. The Gold Maeng Da extract is one of the most popular and very hard to find a strain that is produced through an extraction process involving a solvent or hot water. This Kratom variety is completely top-notch due to the unique blend of alkaloids that it boasts of. It is predominantly found in Thailand and is exported to other parts of the world. Known to have a higher concentration of alkaloids, it creates so many desirable effects that could please the huge fan base of Kratom. A recently found method is also being used to manufacture this extract with high pressure and cold water. With this procedure, it is believed that a number of alkaloids can be preserved. The Gold Maeng Da Kratom is amazing in a lot of ways and let’s discuss the three main points that stand out. The Gold Maeng Da is said to be one of the best strains out there due to its increased alkaloid composition. The process of manufacturing the extract through pressure and water makes Gold Maeng Da all the more concentrated and effective. It is usually very hard to get and even costly due to its supreme nature. Only some vendors provide this extract under the list of products they offer on their site. Apart from the challenge faced with respect to availability, the testing and other procedures for this extract makes it a costly affair. But some vendors take the risk to bring this variety in an attempt to please most customers out there. Hence, Gold Maeng Da extract has every quality to participate in the race that determines the best strain of Kratom Extract. The best thing about Gold Maeng Da Kratom extract is that collaborates all the effects of the Maeng Da variety and provides them in a much more enhanced way to its users. Though it is primarily known to improve energy and mood, it also acts as an effective analgesic by relieving users off the pain. The Gold Maeng Da extract is very much suited for people who work for long hours. It tends to improve their overall energy while retaining focus and clarity throughout the day. It also induces feelings of euphoria in most individuals. It makes you comfortable under your own skin and also allowing you to be confident in a large crowd. On the whole, it creates a sense of positive mood that is much needed for people suffering from anxiety and stress. What more can you ask for if you have complete control over your mind and body? Gold Maeng Da Kratom is employed as an analgesic due to its pain relieving properties. It provides much-needed relief from chronic pain. It’s pain relieving qualities are similar to the opium drugs like morphine but it eliminates the risk factors that these opium drugs cultivate. For example, using morphine for pain relief can lead to breathing issues, nausea, and drowsiness. Hence, Gold Maeng Da extract serves as the ultimate solution by minimizing these side effects, while providing complete relief from pain. For experiencing the outstanding effects of the Gold Maeng Da extract, you will have to consume it in empty stomach. While the extract can be very powerful and concentrated, it is recommended that you start with very low doses. And the good thing about Gold Maeng Da extract is that you can experience the effects even at very low doses. So consult a doctor before you step up to start using Kratom or if you are an experienced user who hasn’t tried Gold Maeng Da yet, then it is high time that you have a shot at it, for you will never know what wonders it could bring about in your body. Previous Post 5 Reasons to prefer Kratom Extracts Next Post Kratom Extracts in Cosmetics – Why?